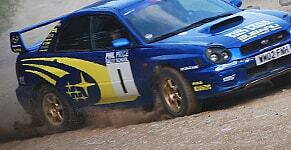 Every motorist should experience the thrill of rally driving at least once in their lifetime. 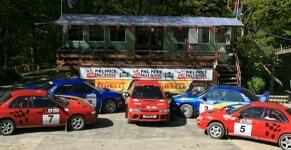 At Phil Price Rally School we are dedicated giving participants the best driving days imaginable. We want to make you feel like you’re racing round the Monte Carlo at our stunning venue in the centre of the rugged Welsh countryside. We give you plenty of time in our fully prepared cars- during our 7-hour rally days you take control much of the time. Our experienced instructors can’t be beaten when it comes to passion and enthusiasm. Our venue is one of the best in the UK, with breath-taking views over the Welsh countryside and plenty of awesome challenges to tackle. In fact, our venue is so good it’s often used for pre-event testing. As one of the founding members of BARS, Phil Price Rally School are highly professional and always ensure our drivers are as safe as possible. We offer a quality buffet lunch with plenty of tasty food. Phil Price offer excellent value for money for all our participants. Our gift vouchers are the perfect gift for an adrenaline addict. You’ll have plenty of one-on-one tuition and get the learn plenty of new skills. Each driving day culminates with a competition against other drivers, giving you the chance to win a trophy.